Retirement is a major life adjustment for most people. From figuring out how to spend your days, to determining the best way to manage your personal finances, there are many choices to make. Once you leave the world of paychecks and the daily 9-to-5 behind you, you may also think you're done with budgeting. At this point in your life, you may believe you've got a good handle on your spending and saving habits, and there's no point to budgeting anymore. But that couldn't be further from the truth. Here's a primer on all the ways your post-work budget needs to change. The first step of building any household budget is figuring out total income. You now have the task of recreating a paycheck for yourself based on your available income sources. In retirement, that may mean a combination of Social Security benefits, a pension, distributions from IRAs and 401(k)s, and personal savings. You'll simultaneously need to cover your monthly living expenses and continually monitor the total balance of your portfolio. Your Social Security check will be a set amount each month, and any pensions or annuities you have may also be. Once you've established how much money you'll need on top of those benefits, you can determine how much to take out of your tax-advantaged retirement accounts. You've spent your entire pre-retirement life saving and accumulating assets so that one day you'd be able to live comfortably without having to work. Now that you're finally in the decumulation phase, you no longer have to save a portion of your monthly income for long-term goals. 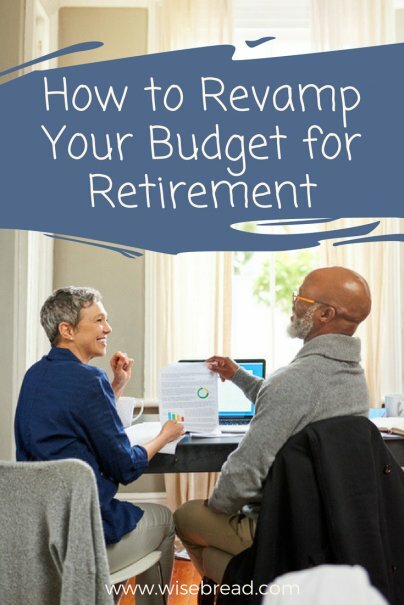 Monthly retirement contributions are one line item you can remove from your budget. During your working and saving years, it's important that you have enough cash saved to cover a large unexpected bill or a job loss in order to prevent having to take early withdrawals from retirement accounts or take on debt. In retirement, your need for cash savings may be even greater, but for different reasons. You may not have to worry about something like a job loss, but emergencies can still happen. As your home and vehicle age, you may find yourself needing to make major repairs or replacements. A health care crisis could devastate your finances. If you aren't prepared for major unexpected expenses, you risk wiping out a portion of the nest egg you're meant to be living on for the next few decades. Remember, unlike your pre-retirement years, the majority of your savings may now be in tax-deferred retirement accounts. As you build your yearly income stream, you'll also be considering your income tax liability, taking into account your portfolio balance and your expected withdrawal rate. What happens to those numbers if you have a large emergency expense one year? Having to take distributions from your retirement accounts during those times may permanently affect the long-term viability of your nest egg, which is why a cash reserve can help support your overall retirement plan. Housing is usually the largest household expense in everyone's budget, regardless of whether you rent or own. But after raising families and possibly paying a mortgage for 30 or more years, you may be in a position to either downsize, eliminate your mortgage payment, move to a new location, or a combination of all of these options — which can all meaningfully affect your budget. As you prepare for retirement and rethink your income and budget needs, carefully calculate what your new housing and associated costs will be. For example, you may think about moving into a smaller apartment or condo in a trendy part of town, but a more expensive location can unexpectedly increase your other everyday living expenses. If you're used to having employer-sponsored health insurance, be prepared to do your homework on Medicare before you retire. Many people are surprised to learn that Medicare does not cover all health care expenses, such as routine vision or dental care. Nor does it cover some assisted living expenses, which may create a huge financial strain if you didn't purchase a long-term care policy when you were younger. And if you're traveling outside of the United States, Medicare typically won't cover any health care related costs you may incur. Throughout your entire working career, you've probably spent lots of money on various professional and daily work-related expenses. When you exit the workforce, much of that will change as your lifestyle will be different. Things like business attire and dry cleaning, daily transportation and parking costs, or business certifications and professional dues can all be crossed off your budget. When your schedule is completely free and you no longer have a daily commitment to be at work, every day feels like a Saturday. You may find yourself spending money on things you used to do only on the weekends or when you had some time off. Whether it's spending more time eating out, traveling, or participating in hobbies, you may need to adjust your budget for your increased free time. If you have children and grandchildren, you may have started thinking about including financial support for them in your retirement budget. In addition to more substantial gifting opportunities that involve legal documents (like a trust), there are other ways to support your family members. Each year, you are able to gift anyone up to the annual gift exclusion, which is $15,000 for 2018, without having to file a gift tax return. A married couple can gift a total of $30,000 to one individual in one year.